Fabulously soft and warm. 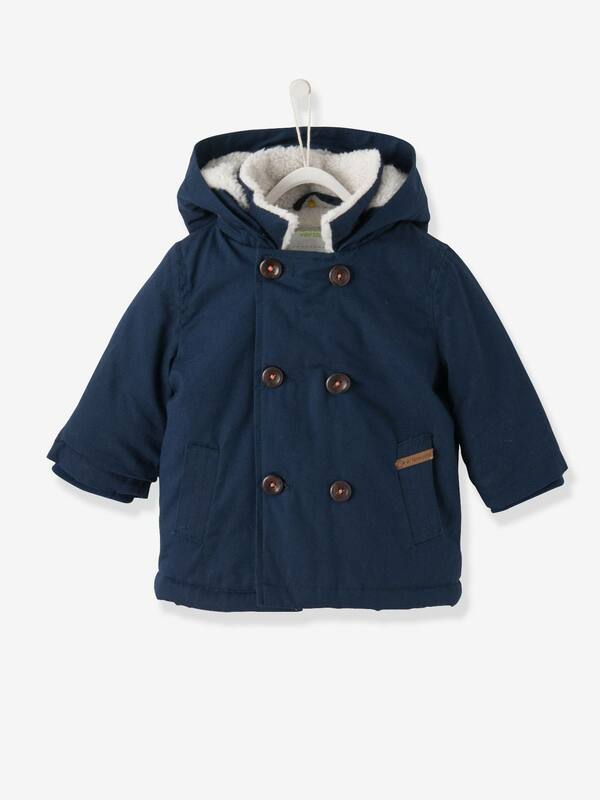 Keep little boys warm this winter in this stylish padded parka with a fluffy lining. Baby boy's showerproof hooded parka. Zip fastening under buttoned placket. Ribbed cuffs: to fight the cold. Loops at the cuffs for attaching all the gloves and mittens in the collection using the clip fasteners. Baby's parka in 100% cotton. Super soft plush lining 100% polyester.